An expedition-style 110-footer splashed in May of this year. With exterior design by Ward Setzer and interior design by the Kingship Design Group (emphasizing the four Chinese elements of wood, water, fire, and soil), she’s claimed to be the first yacht in Asia built to Lloyd’s class and the MCA Code. The yard doesn’t have any 80-foot-plus projects presently. 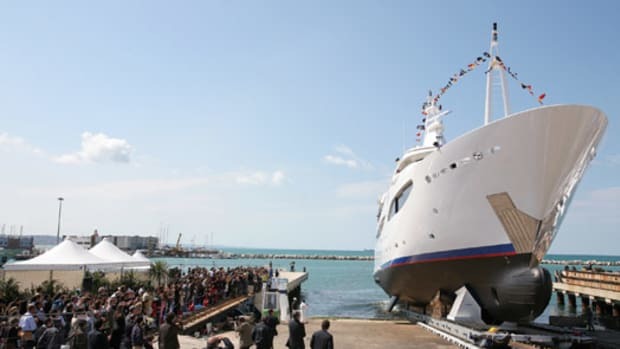 The yard recently delivered the 195-foot Oasis and 219-foot Apoise. The yard is building a classic-style 94-footer that should top out around 33 knots and is claimed to be the largest project on the East Coast to employ SCRIMP. U.S. office: Fort Lauderdale, FL. The 90-foot Crosser should be delivered soon, intended for a,round-the-world trip. Plans for a 151-footer are in the works. Contact: Jolanda van de Mortel. True North, an expedition-style 137-footer, hit the water for an American owner earlier this summer. The yard did not reply to our request for information by presstime, though a 218-footer, known by the code name Project 777, is expected to be delivered this year. 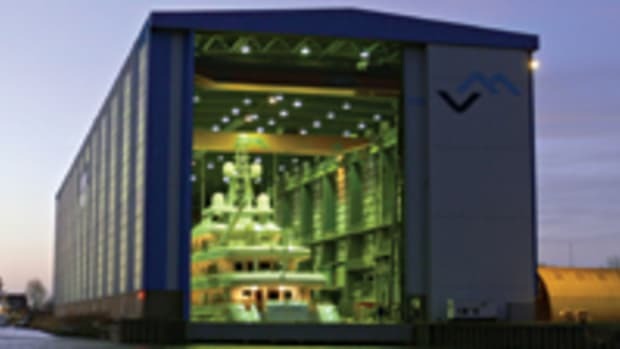 The 115-foot Victorious, for a repeat customer, was handed over in the spring. Next up is an 86-footer, also for a repeat customer. An 85-footer featuring a four-stateroom layout is presently under construction. The yard also has a 118-footer in the planning stages. The 84-foot Spellbound was delivered in the spring. Expect two 151-foot tridecks to launch between this fall and next spring. A Turkish national should take delivery of the 110-foot Vanelli in September, and yet another resident of Turkey will see his 110-foot Turkiz hit the water in December. An 80-foot cockpit motoryacht with a capacious 21-foot beam is being built for an anonymous owner who is expected to take delivery toward the end of the year. An 88-footer should be ready by the end of the year as well, featuring four staterooms and accommodations for four crew. A 262-footer, complete with two Jacuzzis and a plunge pool, should be delivered to a European owner in November. And speaking of swimming pools, a 269-footer that is being delivered next summer has one located beneath the helipad. The yard is delivering a handful of its 90-foot series yachts this year as well as some of its 115s.